Hapag-Lloyd today announced a new general rate increase (GRI) of $900 per teu on headhaul westbound Asia-North Europe and Asia-Mediterranean shipments for 1 March. The line also scheduled a transpacific GRI for 1 March of $540 per teu and $600 per feu. The announcement coincided with another week of declining freight rates on the major east-west deepsea trades. The Shanghai Containerised Freight Index (SCFI again headed south this week as the industry prepares for the two-week Chinese New Year holiday. This officially begins on Monday, but judging by scenes at Guangzhou railway station this week, hundreds of thousands of factory workers have already begun heading home. With a series of blanked sailings by the four major container shipping alliances, the pace of rate decline slowed. The SCFI’s Shanghai-North Europe component dropped by $38 per teu to $431 per teu, a decline of 8% – the smallest fall since October, although today’s rate level is still 59% below this time last year. On other trades, the Shanghai-Mediterranean leg dropped $34 to $454 per teu, a decline of 7%, the transpacific Shanghai-US west coast fell $67 per feu to $1,321, down just under 5%, and the Shanghai-US east coast leg fell $125 per feu to $2,341, a decline of 5%. Meanwhile, Alphaliner reported that the O3 alliance is set to increase capacity on its Asia-Mediterranean services, as it completes the transition of its AMC-1 service (marketed as the MEX2 by CMA CGM and AMX1 by China Shipping) to an ultra-large container vessel (ULCV) operation. 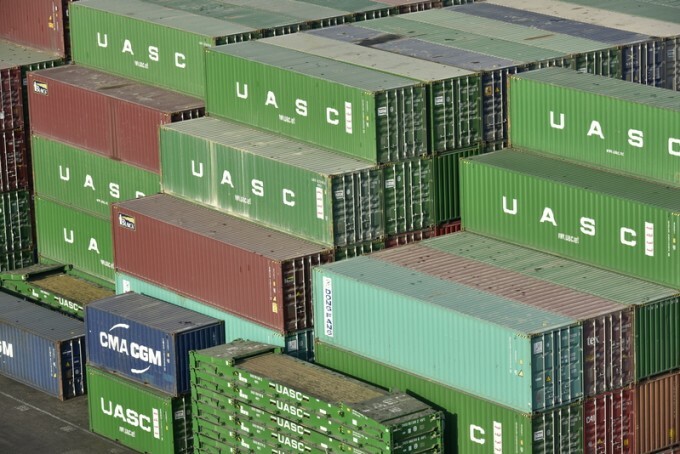 “UASC is to complete the fleet upsizing of its AMC-1 service by replacing the last four 9,580 teu ships, chartered from UASC’s alliance partner, CSCL, with owned tonnage of 13,000-15,000 teu,” it said. This weekend, UASC will deploy the 14,993 teu Linha onto the AMC1 after it completes its final sailing on the O3’s FAL8 Asia-North Europe service, and will be followed by the Al Murabba in March and the similar-sized Al Mashrab later. In a clear sign of vessel cascading, all three will, in turn, be replaced by UASC’s new series of 19,870 teu newbuildings.